The first is by stewarding 73 acres of land using Afro-Indigenous farming and forestry practices. We produce vegetables, poultry, eggs, herbs, and flowers on that land and distribute the food through a farm-share program; that’s a subscription service that brings fresh, healthy, nourishing, nutritious food right to the doorsteps of people living predominantly under food apartheid. That’s the first and most important foundational project of Soul Fire. The second is our training programs for farmers, activists, and builders. We are training up that next generation of black and brown land stewards through apprenticeships, immersions, workshops, and other educational initiatives. The third thing we’re working on is reparations and repatriation – the returning of land and resources back to those from whom it was stolen. So, we’re doing regional organizing with the Northeast Farmers of Color, alliance national organizing with Heal Food Alliance, Freedom Food Alliance, and the National Black Food & Justice Alliance and so we are working on changing the policies and practices that have led to our folks not having access to food, not having access to land, not having the same protections under the law as farm and food workers. GT: You say in the book that the manuscript came together in just five months. That’s fast! Can you tell me a little about the writing process and how that went for you? LP: The book did come together in five months! ‘Cause that’s all the time that I had, you know, being a parent of two teens and working two jobs (in addition to being the program coordinator here at Soul Fire, I also teach high school environmental science), it’s a hustle and so the time that was available was the winter months. The year before (writing the book), I worked with a research assistant and some volunteers to start to collect the information for the book and then every Tuesday and Wednesday when I was off from teaching in the wintertime I would just sit down and, you know, bust out a chapter a week. That was the goal and that was what I was able to accomplish. It ended up being really good to write it that fast because the whole book was in my working memory the whole time, so I didn’t have to do a lot of back and forth and rewriting because I’d forgotten what I already said. GT: What made you decide to write a book about farming specifically for a black audience? LP: Actually, Farming While Black is for everyone, not just for a black audience. 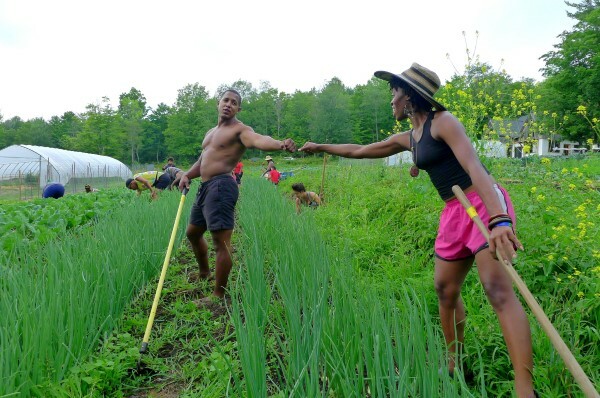 Certainly, it centers the experience of the returning generation of black farmers because there aren’t any books for us that aren’t from an anthropological perspective. This is the book that I needed when I was a young person coming into farming and saw tables and tables full of books at farming conferences by and for a white audience. And so, this is really about a practical guide to living on land, about reclaiming a place of dignity and of agency on the land and reaching back across the time period of oppression on land and enslavement and share cropping and tenant farming, back to thousands of years of noble agricultural history. But it’s for white folks too and for everyone because so many of the practices that we’ve been taught are ahistorical or European actually have Afro-Indigenous roots and so it’s very important to tell those stories and uplift those ancestors who gave us a lot of the technologies that we take for granted in organic farming today, like terraces and raised beds and intercropping. GT: The book talks a lot about the history of black gardening and farming, and is dedicated to your women ancestors who braided seeds into their hair so long ago. How does history affect the way you farm or the way you think about farming? LP: This book is dedicated to our ancestral grandmothers who braided seeds in their hair before boarding transatlantic slave ships and facing an uncertain and terrifying future. 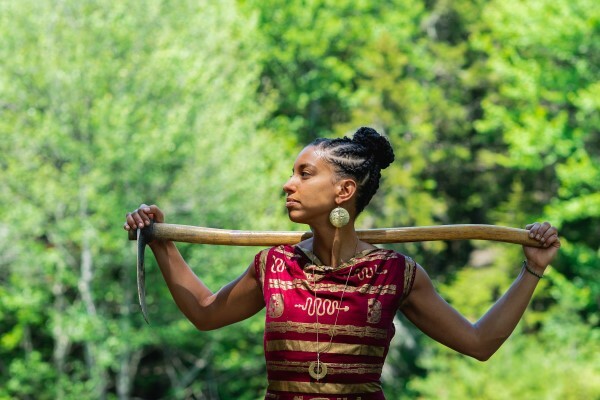 This history affects the way I think about farming because what we’re trying to do is really challenging—we face a lot of institutional racism and even interpersonal racism right in our neighborhood, living in rural, predominantly white, upstate New York, and so when I think about the seeds that my ancestors braided into their hair, to me that was them believing in me against odds. And so, if they didn’t give up on their descendants, who are we to then give up on those who will come after us? It’s really what gives me the fortitude to continue on in the work. GT: How does race affect farming and gardening today? LP: Well, the food system is not broken. The food system was designed to exploit the stolen land and stolen labor of black and brown people, and that continues today across all measures. If you look at who has access to food and who is disproportionally impacted by diet-related illnesses like diabetes, heart disease, obesity, and some cancers, those are black and brown communities and that’s because of a history of redlining and of policies that make it very difficult to access food in those communities. If you look at who owns the land, depending on what census, well over 95% (some measures say 98%) of rural land is owned by white folks. And that’s because of the history of USDA discrimination and racist vigilante violence against black and brown landowners, not to mention the dispossession of the entire continent by settlers from Indigenous people. If you look at the labor laws, we have a whole different set of labor laws for farm workers and food workers than for everyone else for every other sector and that traces back to the thirties with the New Deal legislation coming through and white senators in the South not agreeing to vote for it unless black and brown people were excluded from some of the beneficial provisions like social security and the forty-hour work week and so on. So, it impacts all aspects of farming and gardening and we’ve been told time and again by folks that black folks that are interested in going into farming encounter a lot of barriers, that they can’t afford to work for free as an apprentice and that’s oftentimes the only job that’s offered, or they are denied access to an incubator program, and so on. 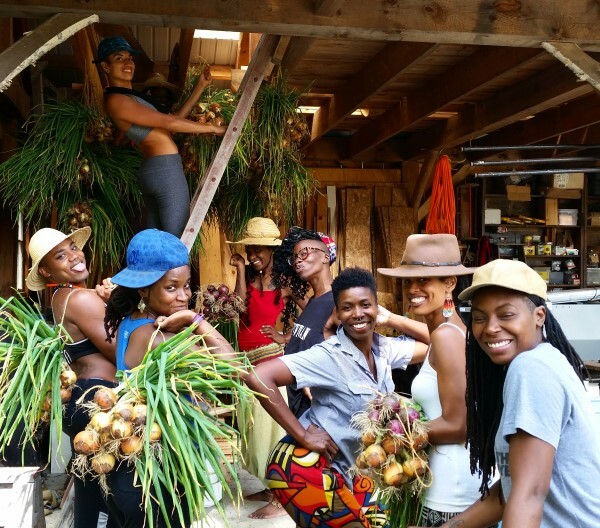 And so it’s very important for us at Soul Fire Farm to provide a culturally relevant and welcoming and uplifting space for black and brown folks to learn how to farm. 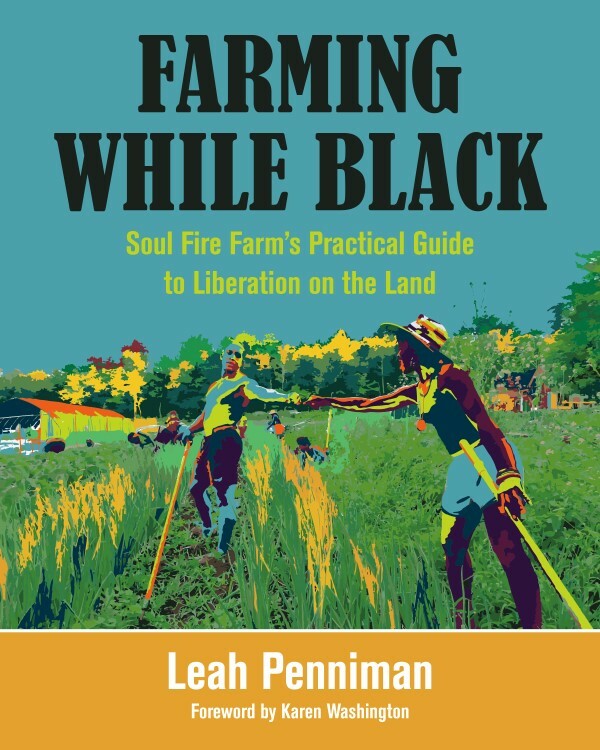 Farming While Black: Soul Fire Farm’s Practical Guide to Liberation and the Land is available now through Soul Fire Farm and on Amazon. All author proceeds from this book will be donated to a fund providing land and training for Black farmers. For more information on Soul Fire Farm, check out their website here. 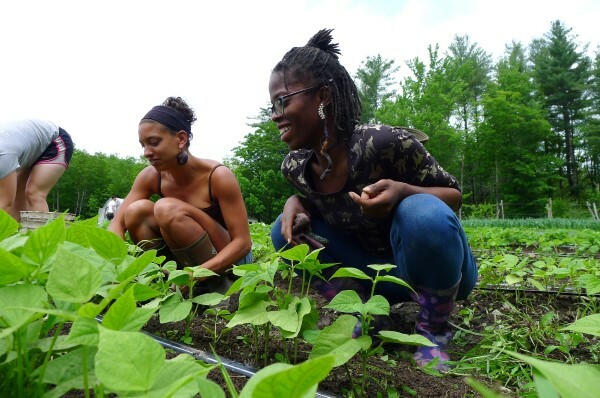 Leah Penniman is a Black Kreyol farmer who has been tending the soil for twenty years and organizing for an anti-racist food system for fifteen years. 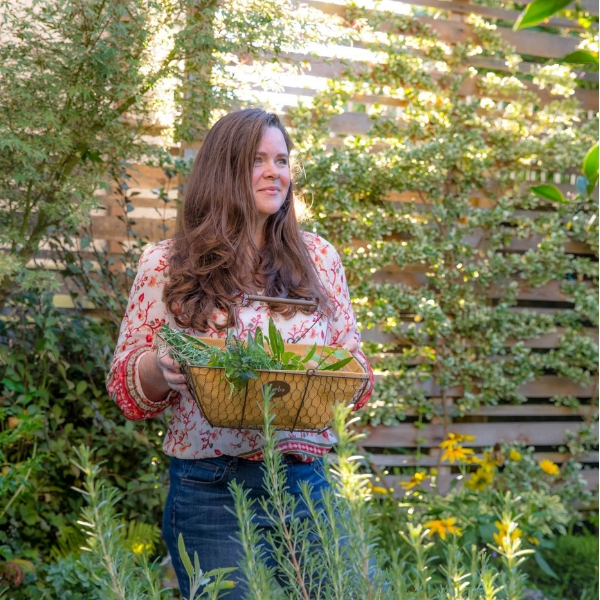 She began with the Food Project in Boston, Massachusetts, and went on to work at Farm School in Athol, Massachusetts, and Many Hands Organic Farm in Barre, Massachusetts. 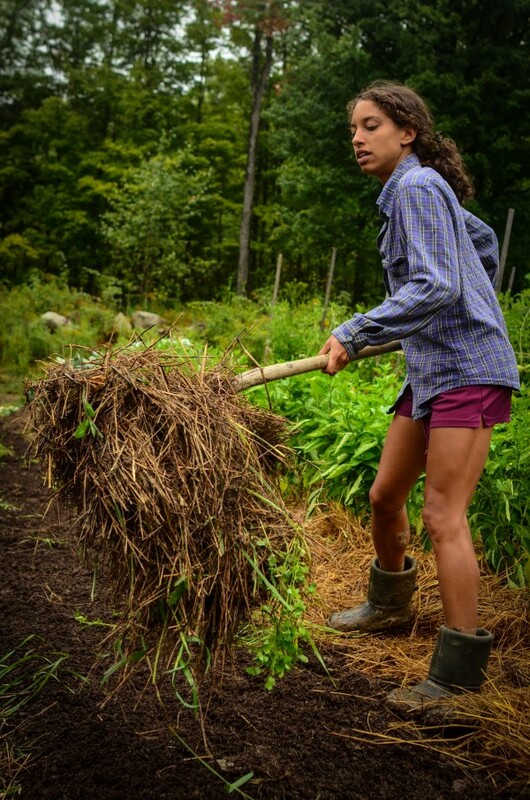 She co-founded Youth Grow urban farm in Worcester, Massachusetts. 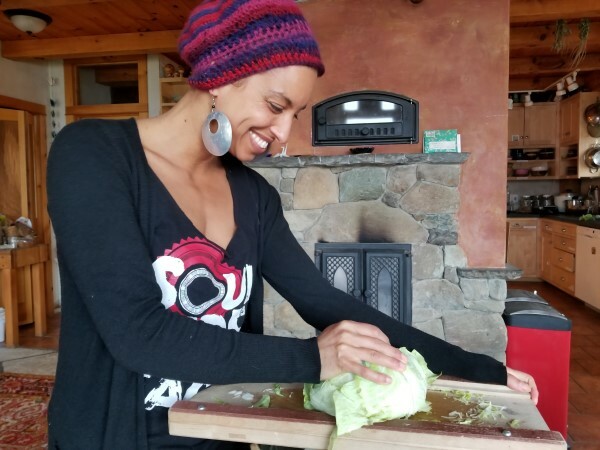 She currently serves as founding co-executive director of Soul Fire Farm in Grafton, New York, a people-of-color led project that works to dismantle racism in the food system through a low-cost fresh food delivery service for people living under food apartheid, training programs for Black, Latinx, and Indigenous aspiring farmer-activists, Uprooting Racism training for food justice leaders, and regional-national-international coalition building between farmers of color advocating for policy shifts and reparations. She has dedicated her life’s work to racial justice in the food system and has been recognized by the Soros Equality Fellowship, NYSHealth Emerging Innovator Awards, The Andrew Goodman Foundation Hidden Heroes Award, Fulbright Distinguished Awards in Teaching Program, New Tech Network National Teaching Award, Presidential Award for Excellence in Teaching (New York finalist), among others. She has contributed to two published volumes, authored numerous online articles, and given dozens of public talks on the subject. I’m glad I came across this article. I’ve been thing about 40 acares of my own, something black Americans was promise but never received. 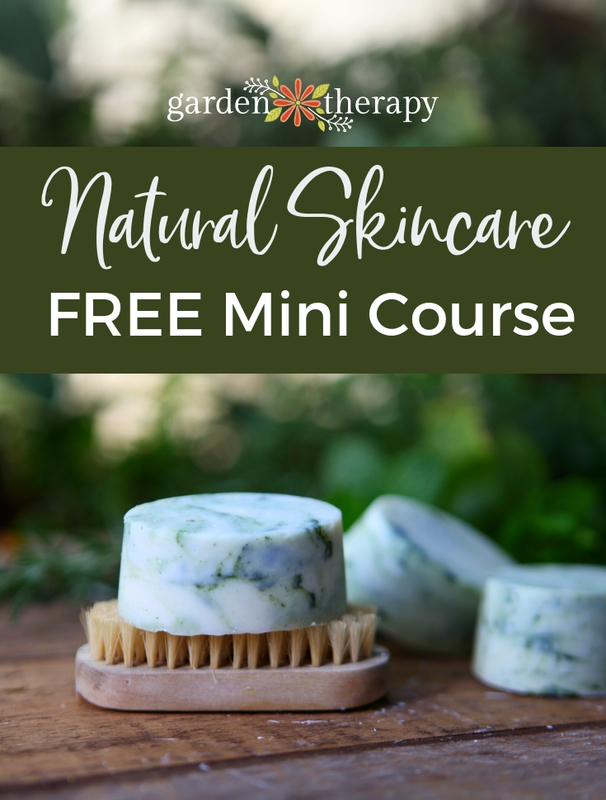 I recently went through a health crisis and looking to change the mind, body and spirit. This was really interesting and I will be going out and buying her book. Thank you for interviewing her.